Believe it or not, a lot of poker players never study the game because they either don’t see the value in studying or simply don’t know how to get started. For those players in the latter group, it’s best to start with the easiest and possibly most efficient way to study poker. Using tracking software like DriveHUD can give you the advantage you want. Truly, an efficient review process means quicker improvement which leads to higher win-rates and eventually higher stakes. In this article, I’ll outline a simple 6-step process for reviewing past sessions using tracking and database software such as DriveHUD. Open up your database of choice (whether it is Hold’em Manager, DriveHUD, or PokerTracker) and open up a sessions report. A sessions report provides a breakdown of the selected players frequencies and stats sorted and categorized by… you guessed it, session. Analyze your own stats from the session. Try not to get caught up analyzing very situational stats in a sessions report, such as fold to turn check/raise or river c-bet. Less common stats like those are highly unreliable with small sample sizes. Are there any stats that are way outside your typical range? Were you adjusting to the table dynamics correctly? If you need help finding the answers or with specific hands, post in a poker forum or discuss it with your friends. There’s no excuse for not finding answers in the information era. In the individual hand column of your database, sort the session’s hands with the biggest losing hands at the top. You can do this by clicking on the “Won Amount” or “Net Won” column until the biggest losing hands are displayed first, as demonstrated in the image above. Remember that questionable spots don’t only arise in hands you lose. Once you finish reviewing the losing pots from the session, you would be wise to glance at some of the pots you won as well. For other databases, you will have to open up your favorite equity calculator and manually re-create the hand. Plug in the cards for your hand, the board and what your opponent’s perceived range is in the questionable spot. Then, run some equity calculations. Export your hand to match the format of your forum of choice (right click on the hand and select export.) Post your hand online and be sure to include all of the thoughtful observations you noticed from steps #2 and #4 above. Rinse and repeat steps 4-6 as often as you need per session review. At any rate, taking a methodical approach through your database with excellent software like DriveHUD will make you a more mindful poker player. This will have long term implications on the growth of your poker game. Thus, get your process down as efficiently as possible by having the necessary poker apps and tools installed and in place for review. 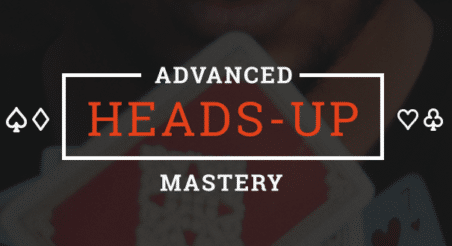 Remember that every session you review effectively is a step forward in your poker development. Finally, always make session review a habit and your bankroll will thank you. John Anhalt is a successful U.S. born poker player and entrepreneur. He started playing Limit and No-Limit Hold'em in 2004 and quickly built a six figure bankroll off one $50 deposit. Since then he's coached over 100+ students, including athletes and celebrities. He's been a guest on several radio shows and podcasts about poker and the state of poker. He's written four online e-books on poker, and has done over 150 strategy videos on No-Limit S&G's, multi-table tournaments and cash games. John owns and operates DriveHUD.com.